Las Estrellas is an Argentine telenovela produced by Pol-Ka Producciones for El Trece. Here is a brief synopsis of the series: Five sisters have to take care of a Hotel for a year after their father’s death. Thus, Virginia, Lucía, Carla, Florencia and Miranda will have no choice but to learn how to deal with their differences. 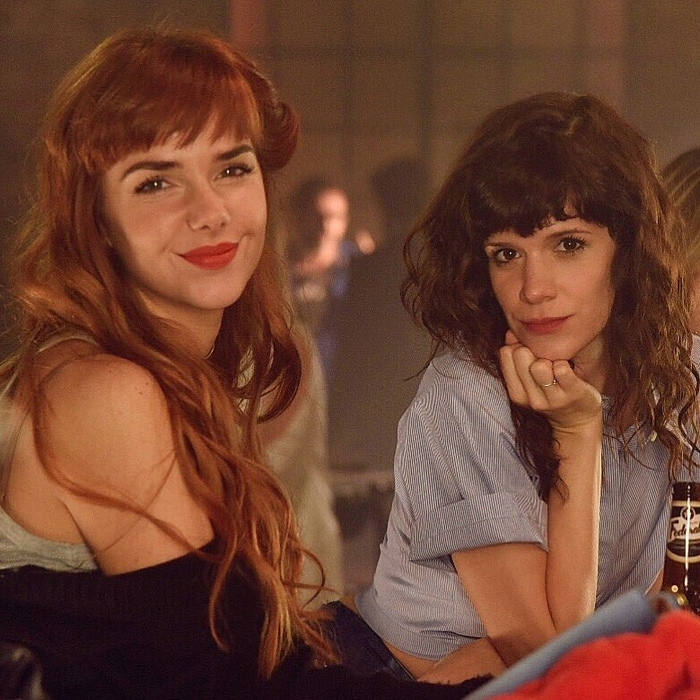 The couple shown below is formed by Flor and Jazmin, repectively portrayed by Violeta Urtizberea and Julieta Nair Calvo. They meet while Jasmin comes to work in the hotel, the latter learns that Flor suffers from Tourette syndrome. The two women forge a profound and sincere friendship, which will slowly turns into Love and alter the life of Florencia.